While Star Wars: Episode VII The Force Awakens is still in theaters, and seemingly on it's way to breaking every record imaginable, we can already look ahead to a time when we can enjoy the blockbuster in the comfort of our own homes. While we can of course expect a DVD and Blu-ray release sometime in the near future, it appears The Force Awakens will coming to smaller screens in a different way. According to The Hollywood Reporter, Episode VII will be the final film under the Disney umbrella to be featured on the Starz network. A previously established deal between Disney and Starz to air Disney films on the premium Cable network came to an end in 2015, which is being replaced this year by a similar agreement with streaming giant Netflix. Thus, The Force Awakens will debut on Starz, and select future Star Wars films, such as Rogue One, Episode VIII and others, will be added to Netflix sometime after their release. Disney's deal with Netflix will reportedly last for four years. 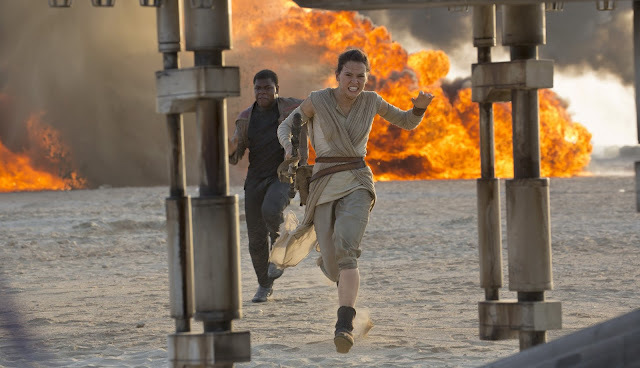 Speculation points to The Force Awakens appearing on Starz around December of this year. It's currently unclear when the film will be making the jump to Netflix, but with it now being the highest grossing film in U.S(and soon to be the World), Starz will be wanting to hold on to it as long as possible. what about the Canadian Netflix? will it still stream The Force Awakens? When will the others stay being shown on Netflix? Great Question David Wieczorek... Will the Canadian Netflix be streaming Star Wars: The Force Awakens... I sure hope so... Went and seen it in 3D the first weekend of it's release and LOVED IT. What about the European Netflix? if Netflix ever loses the Disney deal, I will abandon Netflix and follow the deal wherever it goes.